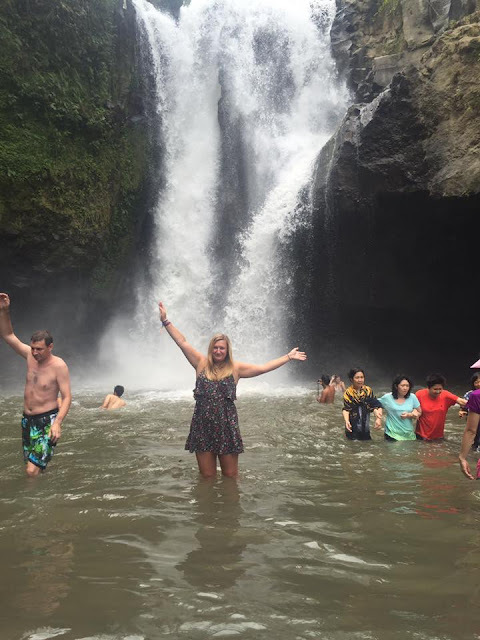 I spent about 10 days in Bali last year and I managed to cram a lot in. 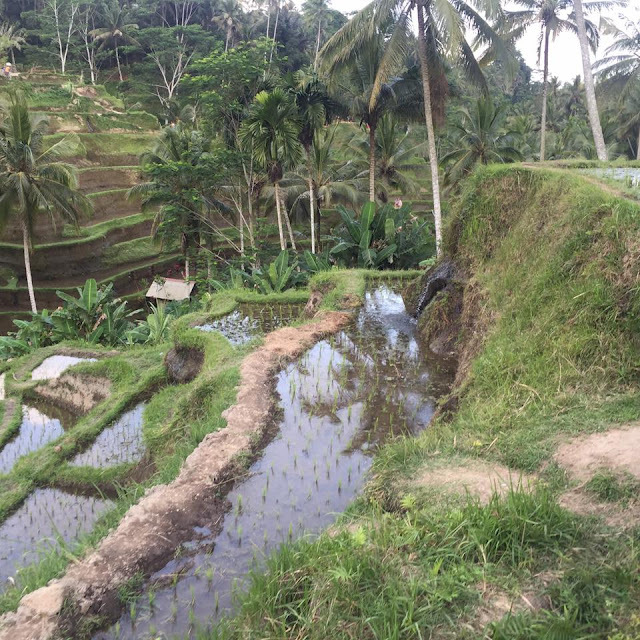 So I thought today I would share my little guide to Bali. 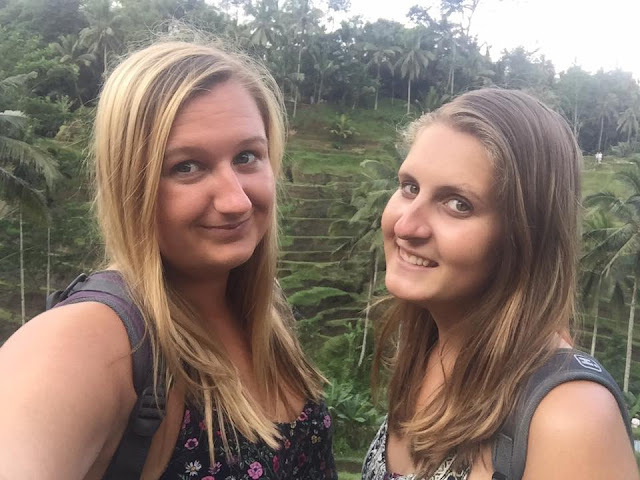 We flew in to Kuta airport and went from their straight to Ubud. We stayed in the cutest little home stay style place which was right next to the main street of the town. 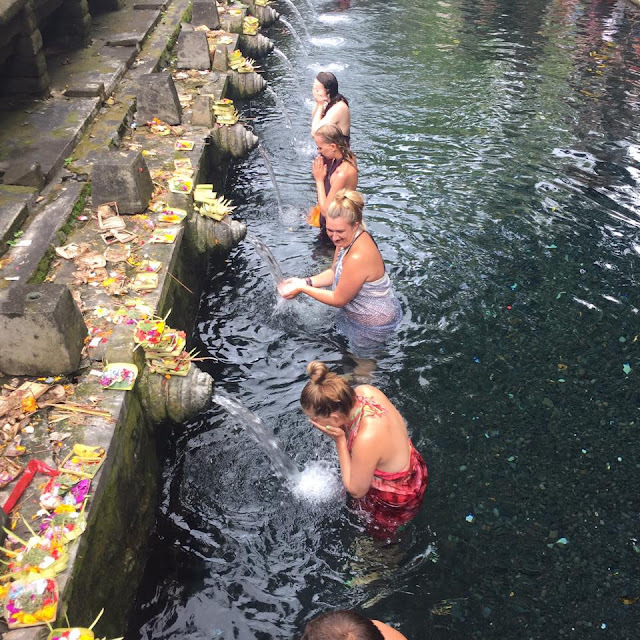 We explored on the first day then on the second day we decided to hire a taxi for the day and asked the driver to take us around to the highlights and temples around Ubud. This is a cheap and fun way to explore the island with your own private guide! We told him everything we wanted to see and he charged us about £30 for the full day! Not going to lie, I didn't have a clue what was going on the whole time! They spoke in their native language, there was mythical creatures and crazy animals but it was still really enjoyable to watch. They are pretty popular for tourists so there are plenty around that you can visit. I can not remember how much this was as I think we payed for it part of our tour. Another popular tourist hot spot is the Holy water temple. This was such a fun experience and I am so glad we went in the water too! 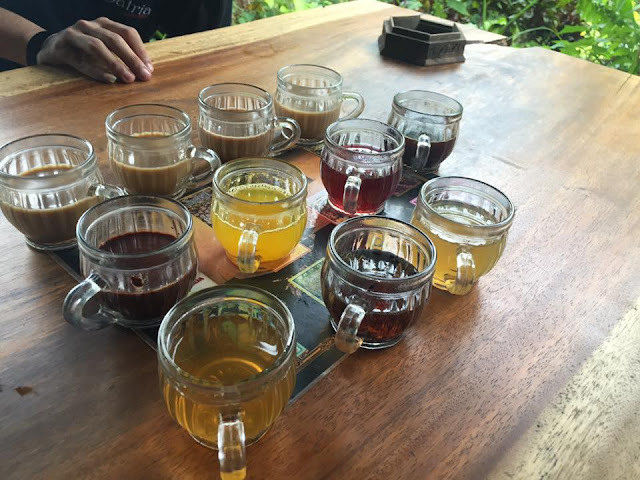 you have to move down the line bathing in the water and taking a small sip of each one. You have to stick to the line as it is apart of the ritual. It is not only tourists here as locals go to complete the ritual too. As it is a place of worship you must be covered and there are rules you must follow but it is a really good experience. Again there are plenty of these you can visit. It is free to go, you can look around see how they harvest and roast the coffee and then you can try lots of samples and be spoken through each one. Luckily for me they had lots of teas as I don't actually like coffee. I did have a little try of everything and ended up buying some coffee for my parents as a gift. The products are reasonably priced too so you don't mind buying things when you get to go for free. After Ubud we went back to Kuta, we stayed in a hostel for 3 days. I didn't Love Kuta as it was very commercialised, most people there where Australians on holiday I was expecting more of a traditional place so slightly disappointing for me. However, I still had fun in my few days there, we partied on the evenings at the many bars and clubs and we explored in the day. We even visited the second biggest water park in the world - Water Nom! We then took a boat over to Gili T for a few days. Again I was a little disappointed as I expected it to be more serene and beautiful however it felt a bit dirty ! Gili T is tiny, you can actually walk around the full island if you'd like. There is no transport on the island so you can hire bikes to get around if you wish. There is plenty to do there such as scuba diving, visiting a spa or even a beach cinema! The night life is good and there are lots of restaurants and bars too. I would defiantly recommend a trip to the islands if you are heading to Bali. 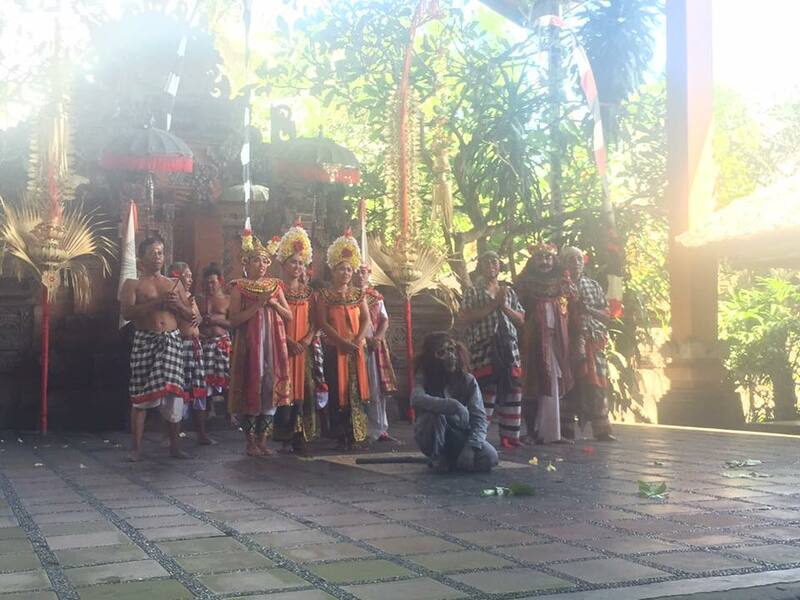 I hope this little guide helps you to plan your adventure in Bali!